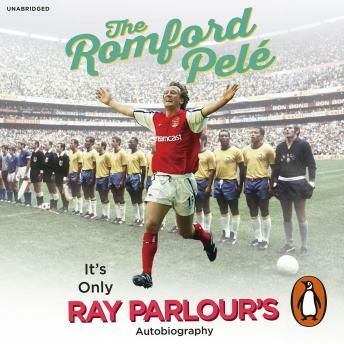 Marc Overmars may have given him the nickname, but the Romford Pele is a legend in his own right. Over 16 action-packed years, from a trainee scrubbing the boots of the first XI, to a record-breaking 333 Premier League appearances, Ray Parlour's never-say-die performances, curly locks and mischievous sense of humour have gone down in Arsenal history. Battling tirelessly on the pitch, often in the shadows of his star-name teammates, Parlour won three premier league titles and four FA Cup trophies with the Gunners. But he was also the heart and soul of the dressing room, the training ground and the after work drink. From nights out with Tony Adams, to teaching Thierry Henry cockney rhyming slang, from playing golf with Dennis Bergkamp to trading Inspector Clouseau jokes with Arsène Wenger, this wonderfully funny and candid autobiography looks back on a golden age of the beautiful game, reliving the banter, the stories and the success. Ray Parlour is an Arsenal legend. During his 16-year career he won 3 Premier League titles, 4 FA Cups and the UEFA Cup. One of the most underrated players of his generation, he was also part of Arsenal's famous Invincible team of 2003/4, which went the entire Premier League season unbeaten. He is now a regular pundit for TalkSport and Sky Sports. He enjoys a short back and sides. If anyone knows the RP, he’s a class act. Funny, endearing, enlightening and his book reflects that.